We've heard that the iPad could be selling quite well, and Q4 saw Apple take about 50% of the US smartphone market, at least in part based on the success of the iPhone 5, but it seems the iPhone 5 may not be selling quite as well these days as Apple had expected. 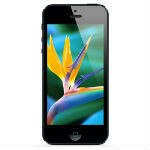 And, word has it that because of the weak demand, Apple has cut orders for iPhone 5 displays in half. The news comes from the Wall Street Journal and Nikkei, which separately have reported the cut in orders. The definite part of the report is that during the January to March period, Apple has cut orders for displays in half, according to sources. There is one source which claims the cuts extend beyond displays to other parts, but that hasn't yet been confirmed. Some may try to claim that the decrease in orders is due to Apple's plans to release the next iPhone as soon as June, but it seems to us that cutting orders this early doesn't quite link to that. Apple users, especially casual users who don't pay attention to rumors, have been used to a yearly cycle, so until there is more definite word that there will be a new iPhone in June, there's no reason to expect sales to drop as they normally would before a new release. It seems more likely that sales demand has been lower than expected, which led to the cut, but we'll find out when the real numbers come out. Not that surprising, the iphone is starting to get dated. It's not cool anymore since everyone has one. Apple needs to add some variety to the design & os. Exactly, the iPhone 5 lacks some key modern features such as NFC and an HD display. Apple needs a radical redesign and larger displays 4" is too small when most other high end displays are approaching and surpassing 5"
true man ..It will be great to have 5 inch Retina display iPhone with ios 7 and 13 Mega pixal camera !! FIRE JOHN IVY!!! That guy is LAME.... Same model over and over for 2G, 3G, 3GS, 4, 4S, 5.... not to mention ipod touch.... 1 success did not make Apple's Little Johny into GOD STATUS!!!! Apple takes customers for granted, and they have to pay for that. Its about time Apple got put in its place. I mean the company has been taking its customers for a ride for the past couple of years with almost no product enhancements whatsoever to speak of...and people I mean REAL product enhancements not some claim at an Apple conference stating that the latest updates contain 200 new features and when people are asked they hardly know two! Time for Apple to step up or get the heck out of the way! Yes but Porsche's design is timeless. Technology changes rapidly. Porsche has many designs for customers to choose, they even have SUV as well. It's take it or leave it with Apple. Your iPhone is not a car. Get over it! Porsche also doesn't tell people that they can only drive at a max speed of 100km/hour, and only in 3rd gear. Porsche also doesn't sue other companies for having round tires. 4.95 or 5.45 as they will not pick the already done sizes going by their history ... they have to do it different to call it innovation and playing on odd sizez is the only innovation left for them as of now besides running to USPTO. But i am wondering how much of a cost bump comes with that 25% size bump because the manufacturing cost is bound to go up by 15% and since apple want 200-300% margin the end user price may go up by 40% which press will go all out to defend left right and center. So how much would the 5.45inch "iPhad" cost? Maybe it's time for apple to introduce the ROUND handphone or iFreesBee. a phone you can throw to play with your dog. Times has come ! people starting relized who is better now! This is what happen when you're focus on others affair too much instead focus develope your owning products better than them. Users of the iPhone change your mind after see last week the stunning Sony Xperia Z!